The delightful Lâ€™Oliveraie De Marighais is located in the countryside, within driving distance of Marrakech, where a number of the most popular attractions are within easy access including the famously atmospheric Jemaa El Fna Square where snake charmers and street performers delight visitors, the Majorelle Gardens, the Bahia Palace and the Palais Des Congres to name but a few. The hotel is situated in an idyllic garden decorated with olive trees and there is a delightful swimming pool for guests to take advantage of along with a terrace offering beautiful views. There are also a range of massage services available for guests seeking the ultimate in relaxation. Each of the Marighaâ€™s guest rooms are spacious with luxurious upholstery and a large private bathroom and air-conditioning. For dining, the hotel boasts a restaurant serving a range of traditional Moroccan and international cuisine which can be enjoyed in the dining room or outdoors. 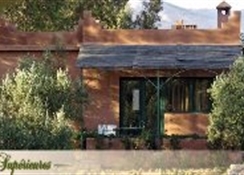 Guests at the Lâ€™Oliveraie De Marigha can also take advantage of the fantastic location and enjoy trips into the Atlas Mountains and the Toubkal National Park. 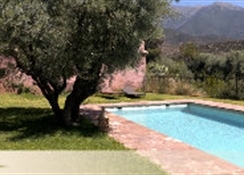 The Lâ€™Oliveraie De Marighais is ideally suited to those seeking a relaxing stay right in the heart of the scenic countryside surrounding the city of Marrakech, away from the hustle and bustle of the busy main roads. The hotel boasts an outdoor swimming pool which guests can take advantage of, plus there are also a range of massage services and spa treatments available for those seeking the ultimate in relaxation. Each of the Marighaâ€™s guest rooms are spacious with luxurious upholstery and a large private bathroom and air-conditioning. Certain amenities may be payable locally. 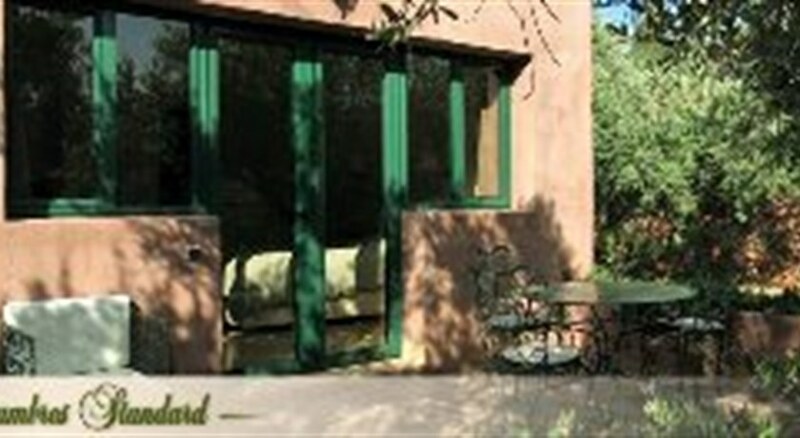 The hotel boasts a restaurant serving a range of traditional Moroccan and international cuisine. The hotel is situated within driving distance of the city of Marrakech-a city split into the old town and the new town, this cultural metropolis boasts a number of cultural attractions and open-air markets filled with live entertainment. At night the city comes alive, offering exotic food, vibrant nightlife and a truly unique atmosphere.